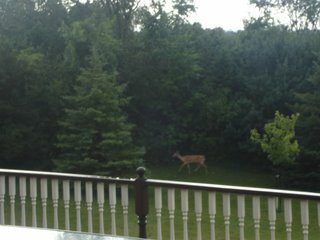 "While the Fishers are away the deer will play." 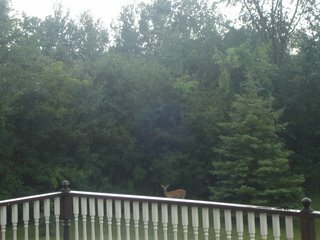 While we were away for a few days our granddaughter Victoria snapped a couple of pictures of the doe that has been visiting our yard recently. Just another of the joys of rural living! We love it! Speaking of doe...Victoria's 14th birthday is today and we celebrated with a cookie dough ice cream cake from Baskin Robbins. Still speaking of doe or dough...We saw a sign while we were away that read, "I hope my ship comes in before the dock rots". Dear David...Such a nice picture that Victoria took! 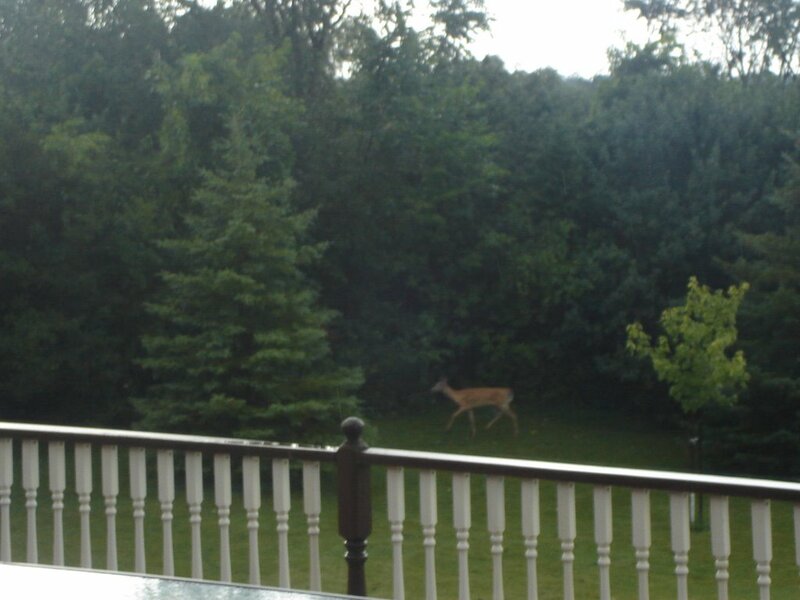 It looks like that doe wasn't even afraid. 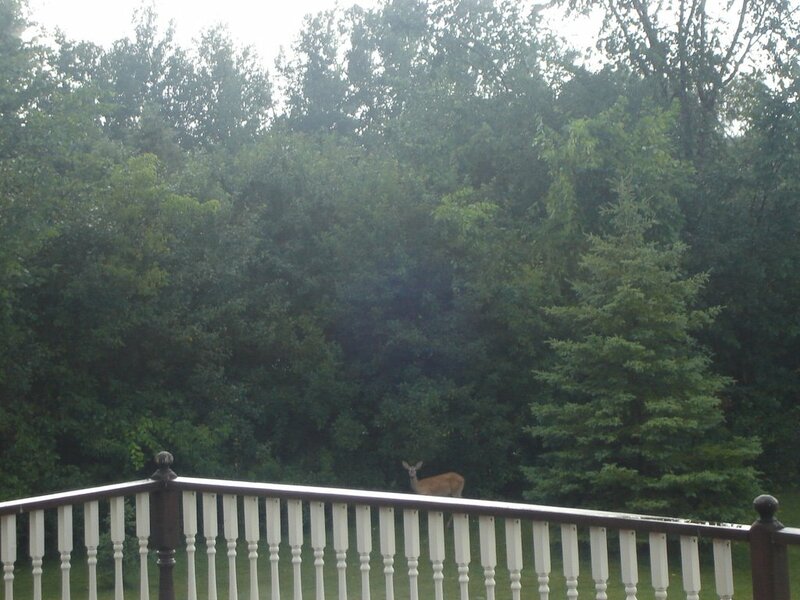 It is so rare that we see deer here in Welland and when we do our hearts leap for joy. I just love them!!! Sometimes when you drive into Port Robinson you can see about five of them going up the hill beside the Welland Canal and of course there is never enough time to pull your camera out of your purse and snap a picture as good as what little Victoria took! !